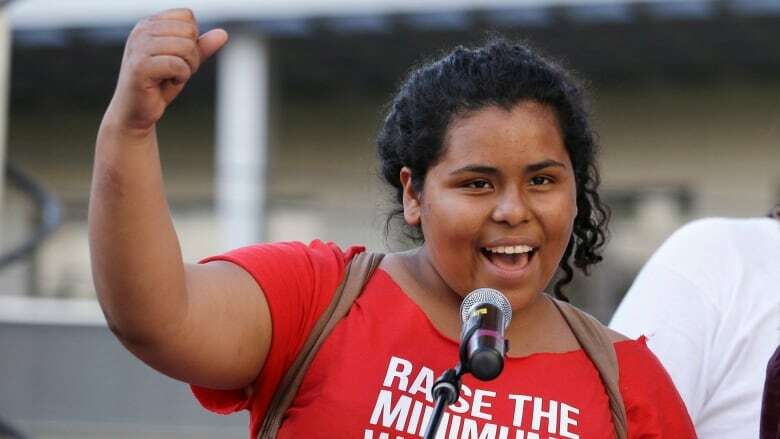 Seattle councillors unanimously voted to increase the minimum wage in their city to $15, which would make it the highest in U.S.
Seattle councillors unanimously voted to increase the minimum wage in their city to $15 per hour, which would make it the highest in U.S. The issue has dominated politics in the liberal municipality for months, and a boisterous crowd of mostly labour activists packed the Council chambers for the vote. 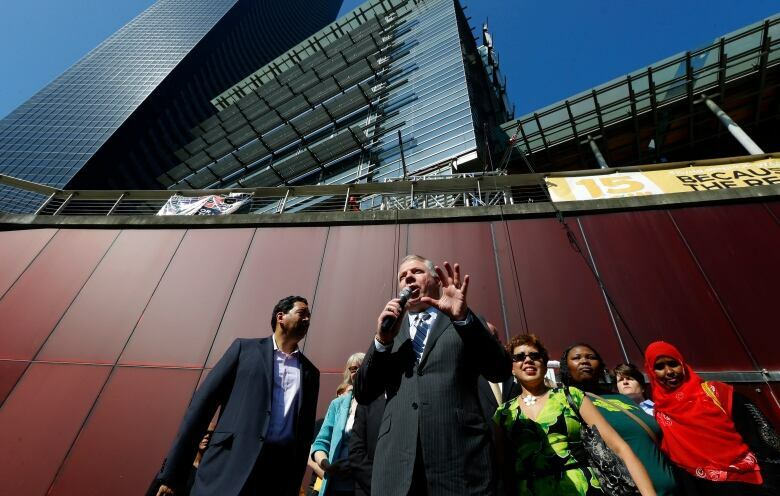 Mayor Ed Murray, who was elected last year, had promised in his campaign to raise the minimum wage to $15 an hour. A newly-elected socialist councillor had pushed the idea as well. “We did it. Workers did this," said Kshama Sawant, who refers to herself as a socialist. "We need to continue to build an even more powerful movement." The measure, which would take effect on April 1, 2015, includes a phase-in of the wage increase over several years, with a slower process for small businesses. The plan gives businesses with more than 500 employees nationally at least three years to phase in the increase. Those providing health insurance will have four years to complete the move. Smaller organizations will be given seven years. The International Franchise Association, a Washington, D.C.-based business group that represents franchise owners, said it plans to sue to stop the ordinance. "The City Council's action today is unfair, discriminatory and a deliberate attempt to achieve a political agenda at the expense of small franchise business owners," the group said in a statement. The ordinance came from recommendations made by an advisory group of labour, business and nonprofit representatives convened by Murray. After more than four months of discussion, the group presented its plan last month. Last week the Council delayed implementation by a few months and approved a sub-minimum wage for teenagers, a provision opposed by labour representatives. Although some local businesses have come out in support of the measure, a group of restaurant owners oppose it, saying it would force them to scuttle expansion plans, decrease hiring and possibly cut service hours. Nick Musser, executive chef and general manager of the Icon Grill in downtown Seattle, doesn't think the wage credit for tips should phase out after seven years and finds the differentiation between large and big companies irrelevant. "The reality is that the larger companies are going to ratchet up their wages and we're going to have to play at that level anyway," said Musser, whose restaurant employs between 50 and 60 people, depending on the time of year. Most of them are paid minimum wage. Ubah Aden, 40, a Seattle home health worker who says she now earns $10.95 an hour, is looking forward to the way a higher wage will help her support her three children. But she also likes the idea of Seattle setting an example for the rest of the nation. "If this passes, then it will pave the way for other cities and states. I really think so" Aden said. She said she and her three kids are living with her brother because she can't afford an apartment of her own even though she works full time. "This will make changes to myself and also a lot of other people in my shoes." Minimum wage is a national debate in the U.S. amid protests by fast food workers and retail employees saying they cannot live on what they earn. President Barack Obama supports raising the federal minimum wage to $10.10 an hour, akin to minimum wage in most Canadian provinces. Minnesota earlier this year raised the state's guaranteed wage by more than $3, to $9.50, by 2016. California, Connecticut and Maryland also have passed laws increasing their respective wages to $10 or more in coming years.